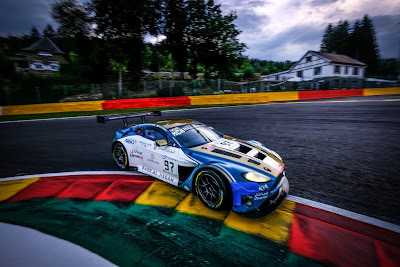 The 70th running of the Total 24Hrs of Spa is the most competitive and gruelling endurance event in the world for GT3 runners and its four grades of driver entries and this year's event was certainly no exception to that. 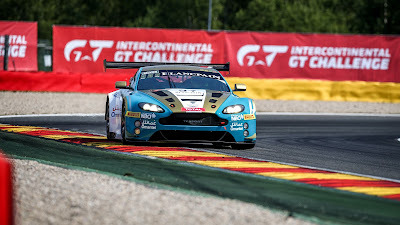 Four Aston Martin Racing V12 Vantage GT3's from three customer teams entered this years event - one was promoted to overall pole position for the start whilst its sister car would start from the opposite end of the grid, one was looking to overcome previous bad luck and misfortune whilst the local crew were simply taking challenges of the event for what it gave them. For possibly two of these teams, this event was also the last time that they would be running with the V12 variant of the car at the event as the new V8 turbo charged car comes on line later in the year. It was great to see that the #62 R- Motorsport car of Maxime Martin would lead the grid at the start of the race after the #1 Audi, which originally 'claimed' super-pole on Friday, was penalised for a technical infringement. 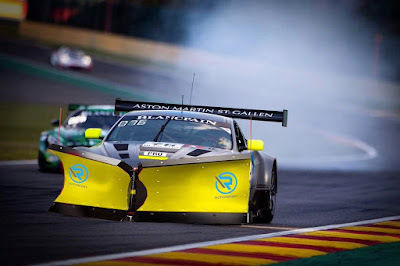 This was even more so as this car's trio of drivers was something of an unknown since Dominik Baumann joined the #62 crew since the last round of the series at Paul Ricard. The Swiss based, Arden supported team had already proved at Silverstone that they had both machinery and personnel to compete at the highest level of GT3 racing but, like many other endurance events, this was a 24hour sprint on a circuit and against a racing field that gave little mercy to either driver error or mechanical ailment as many were to find out again. The Oman Racing by TF Sport #97 car went to Spa desperate to overcome their run of bad luck and misfortune that had blighted their Blancpain GT Endurance season so far. Joining their three regular drivers was AMR's Ross Gunn who would end up having the 'honour' of starting the race for the team from their mid place in class starting grid slot. 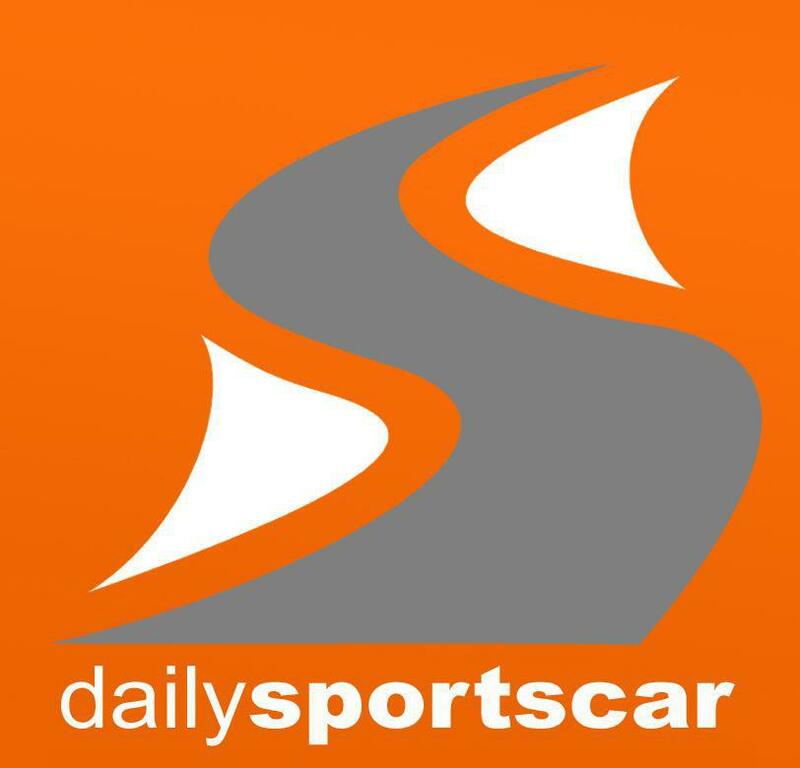 Unfortunately for the team, their luck went from bad to catastrophic as having already cycled through both Gunn and Ahmad Al Harthy within the car, early into his first stint Euan McKay made a mistake at T8 that resulted in heavy contact with the barriers and tyre wall that caused significant damage to the car. 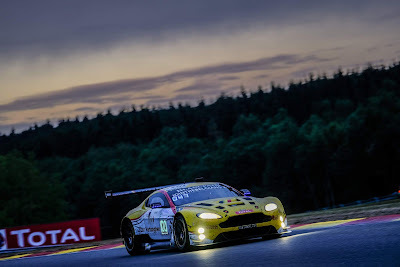 Despite getting the car back to the garage and the team effecting emergency repairs the car was to briefly return to the track before returning with underlying issues that would ultimately necessitate its retirement from the race with still over twenty hours remaining. Poor Charlie Eastwood would get a drive in the race. 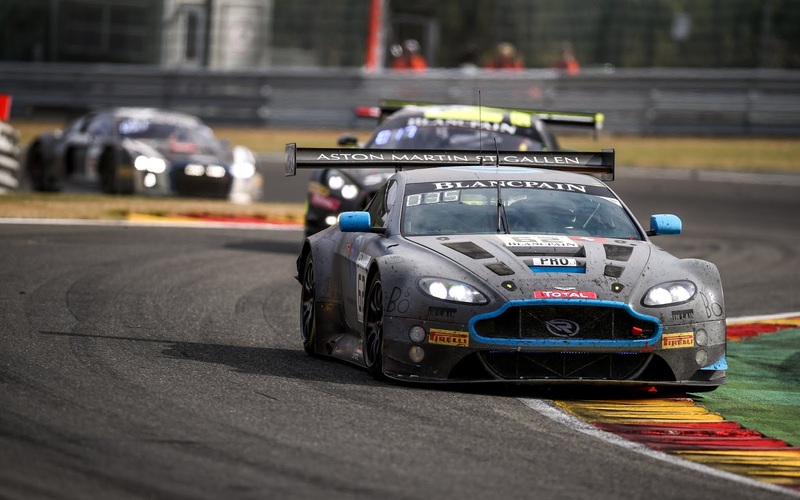 Local team Aston Martin Brussels were out for only their second race of their season having already competed in the International GT Open event at the circuit earlier this year. 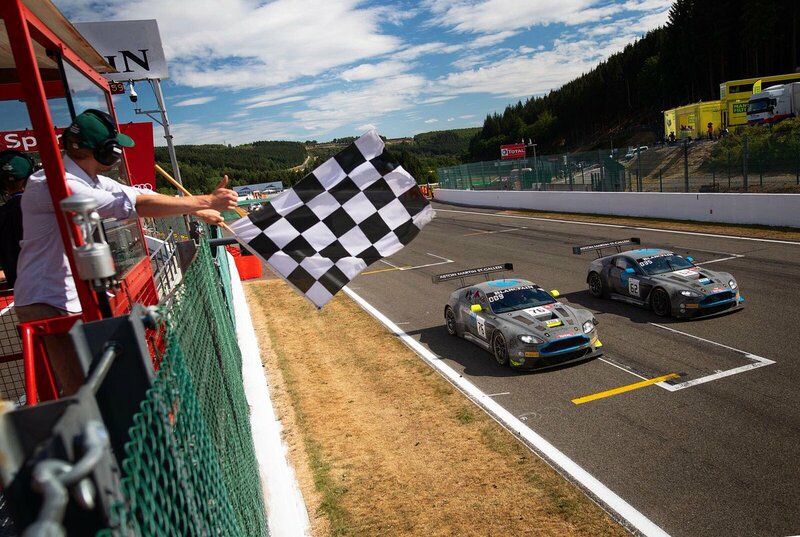 Taking the spirit of endurance racing to the max, the four drivers were going to 'enjoy' the race for what it was worth in their Pro-Am class #100 car. Varying on-track and in pit lane issues for these guys left them too many laps down to mention within their class winner ahead but at least the finished the toughest race that they could ever enter - congratulations to them. The greatest accolades are of course reserved for the two R-Motorpsort Pro class cars which would be starting from opposite ends of the grid. Starting P62 and dead last, the statement of intent from the Nicki Thiim, Jake Dennis and Mathieu Vaxivierre #76 car was simple to understand from a tweeted photo below! At the end of just the second hour of racing and with the #62 still at the head, the #76 car had raced its way through the Am and Pro-Am cars to sit P24 overall - an incredible achievement in such a short period of time and that performance for the #76 at least) was set to continue as they reached the top 10 overall. Sadly for the #62, contact with a Lamborghini and the resulting puncture would loose them valuable track time and position from which they wouldn't recover to finish P35 overall - 26 laps down. For Thiim, Dennis and Vaxiviere, it was an incredible P9 finish - how that would have been different had they not have had a technical issue during Qualifying that forced their stating position its hard to say but it was a nightly achievement non the less. 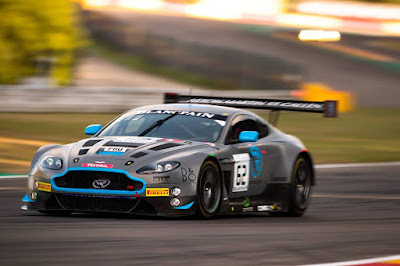 Finally we wish former Aston Martin Racing driver Andy Meyrick and Lamborghini driver Jurgen Krebs a speedy recovery after their accident during the night that landed them both in hospital. Next stop for many of these guys is at the British GT meeting at Brands Hatch next weekend!